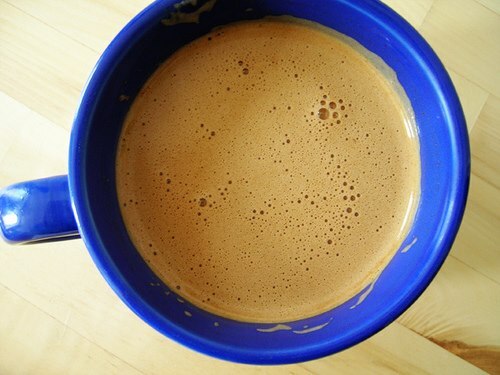 I, along with a growing number of people it seems, enjoy starting the day sometimes with a “Bulletproof Coffee” which for me involves two shots of espresso coffee, a chunk of butter and a dash of MCT oil (or coconut oil) and blended into a fatty frothy brew. The theory is that this high fat coffee satiates and helps you get through the morning while keeping your insulin levels down until a later lunch or even through until dinner. See https://www.bulletproofexec.com/bulletproof-fasting/ for more details. Looking at the analysis below, you can see that the nutritional completeness score is low, but you have to remember that this should be part of a nutrient dense diet through the rest of the day. If you look at my comparison of diet scenarios you’ll see that even if you use a fatty coffee for breakfast you can still get excellent nutrition while keeping the overall insulin load low overall and rank very highly. Some people like to throw a raw egg in and this brings up the nutrient score and enable you to kickstart the day with some protein in your system, although this will cause some insulin release so you won’t get all the benefits of low keeping your insulin levels low. If you don’t like coffee or are dealing with adrenal fatigue green tea with coconut oil or butter will work too. I mimic the Fat Water by putting about a tablespoon of MCT oil in a glass of water–works quite well at assuaging hunger. Depends what your goals are Lee. BPC is a great crutch to enable you to go longer periods between foods if you need the low insulin benefits of intermittent fasting and / or are addicted to caffiene. Whole foods with health fats is always going to be the best option.